A secret room or chamber has been reportedly discovered behind the 2nd sealed door inside the Southern shaft in the Queen’s chamber in the Great Pyramid. And there are ancient artifacts inside of it ……. 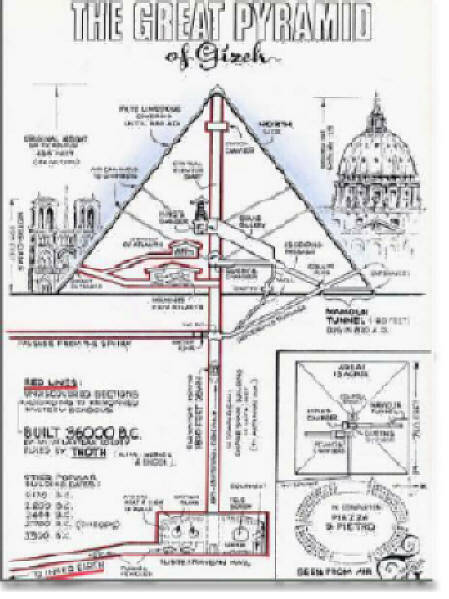 Great Pyramid diagram by Max Fyfield. Black indicates know passageways and “rooms” known at time of drawing. Red indicates areas envisioned by Max yet to be discovered.